The use of emojis has become common these days. People as well as brands use it in their online communication to add some effect to their messages. However, the social media manager handling the Houston Rocket’s twitter profile will probably think twice before using an emoji in the future. The incident occurred when the Rockets were on the verge of defeating the Dallas Mavericks to eliminate them from the NBA playoffs. They posted this tweet, much to the surprise of the Mavericks. The tweet shows an emoji of a gun pointed at a horse’s head. Apparently, the mascot for Dallas Mavericks is a horse, and the image indicated defeat for them. 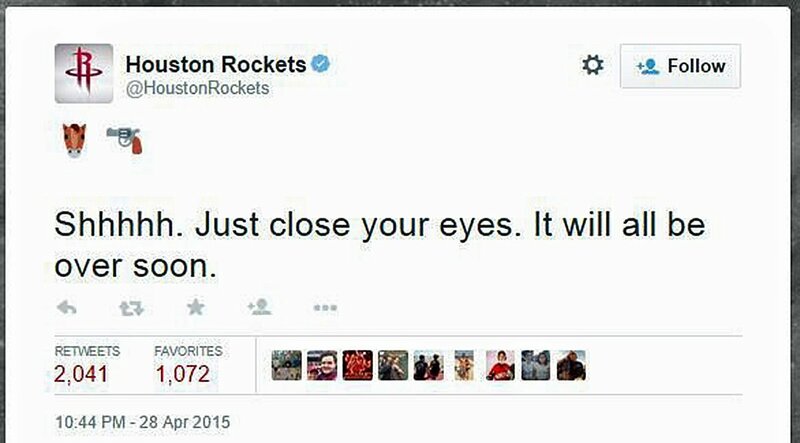 The Rockets promptly apologized and admitted that their tweet was in very poor taste. The person responsible for the tweet also apologized on his personal Twitter profile later. This is not the first time someone has been fired over a tweet. Last year, another person was sacked by a media and internet company for her racist remarks on Twitter. Social media is a very sensitive space and you need to be very careful about what you say. Agree? Organic reach on Facebook is considered to be one of the most precious metrics by brands. This is because organic reach means the number of Facebook users who see a post from a Facebook Page, without the brand having to pay money to Facebook. As Facebook has grown in popularity over the years, brands and agencies have complained about decreased organic reach. Where the brand posts were reaching 16 percent of their fans organically on an average in 2012, the number has dropped down to mere 1 – 2 percent currently, as per reports. This has led the Facebook advertising budget burn a bigger hole in several brands’ marketing spends in order to communicate their messages to a wider audience on Facebook. Many term this as a tactic by Facebook to enhance its bottom-line and keep its shareholders happy. However, Facebook denied this theory and said that the declining organic reach is partially a natural and unavoidable phenomenon. The increasing number of posts made everyday by users and brands has led to decreasing attention span on individual posts by users on their news feed. As per Facebook’s latest changes in its algorithm, the news feed (consumption demand) shows content mainly from those brands and friends which the user tends to interact more with. Therefore, every brand is fighting hard to grab a spot in their fans’ news feed – which provides a fixed amount of space to display content – indicating high supply and less consumption demand. 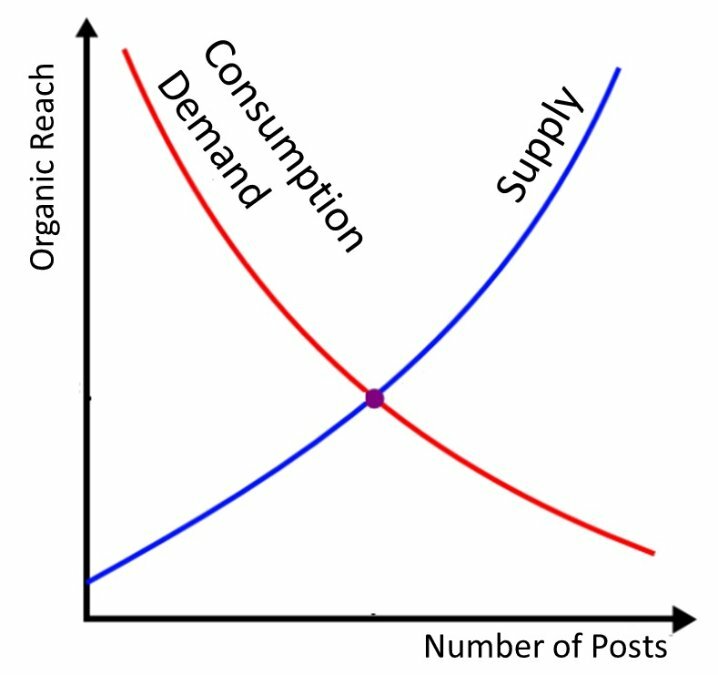 Using this economic theory, organic reach for brand posts on Facebook is inversely proportional to the number of posts made by brands and users on Facebook. As you can see, the red line is the consumption demand curve and the blue line is the supply curve. With increasing posts made on Facebook, the organic reach for brand posts decreases, and hence the two are inversely proportional to each other. Do you dream of making your place the best in the world to live in? What can you do to make this dream come true? Not everyone can be the President, Prime Minister or the Ruler of any place. So as a leader, how do you ensure you give all the citizens an opportunity to share their ideas with you? The answer is turn to social media! This is not the first time that HH Sheikh Mohammed used social media for citizen engagement. He regularly engages the citizens for UAE’s development projects with the help of social media. Social media, if used effectively, can be of great help. It can help unite the citizens, foster growth and bring harmony within the community if it is controlled well by the leader. Not only personalities, but also brands can play a key role in getting citizens together by working closely with the government. 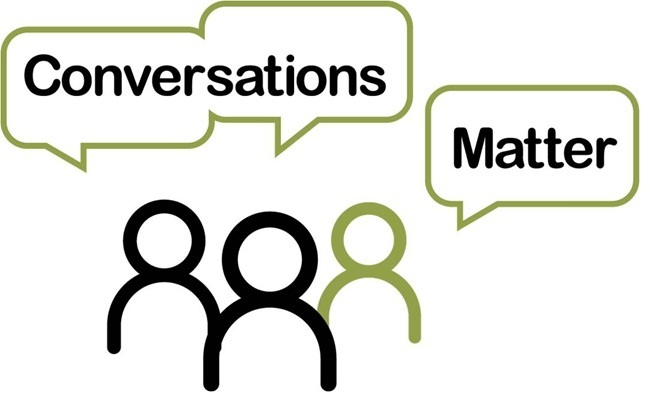 How do you think can social media help in citizen engagement? Share your thoughts by commenting below. Have you seen the latest campaign video by UNICEF Sweden? If not, watch it first and then read on. The video features character representation of three of the most respected personalities – Jesus Christ, Mother Teresa and Mahatma Gandhi having dinner and complementing each other for their noble work. The twist in the video happens when an ordinary man shares his way of doing a good deed. Consumers are smart enough to understand the ad because they see banners every day and almost everywhere on the Internet, and can relate to their experience. After releasing the above video, UNICEF further launched two follow-up videos as part of the same campaign. None of the three historical figures are connected to UNICEF. However, the connect between all of them lies in doing something good for the society, and the synergy is weaved aesthetically to create a short story and intrigue the viewer. Thanks to the story of the ordinary person in the second video, viewers had a reason to smile. His story started off describing about his life, and then leading to the core message. Similarly, brands need to talk to people not in a hard-selling or disoriented way, but by way of telling an interesting story that leads to the core message. The third and final video in the series tells people what they need to do when they come across this campaign-related banner. If a person, who has seen these videos, comes across the banner, he’ll not only recall the ad but also might click with a high possibility. Nonetheless, even if he doesn’t click on the banner, UNICEF has effectively communicated that it is here to do good and help you do good as well! This is probably the most challenging part for any brand – educating people and telling them what’s right for them to do. One of the best ways, as depicted in this ad, is demonstrate. Demonstration helps a person better understand what is expected from him. What do you think about this campaign by UNICEF? Are there any more marketing lessons that you would like to share? Step 3: Click on “Change Header”. Make sure that the image is at least 1252 pixels wide and 626 pixels in height. The maximum file size required is 5MB. The header image places itself behind your profile picture and bio. So, set your header image now and share your views about this new feature in the comment below.